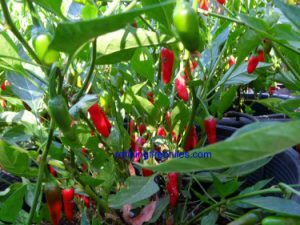 Aji Charapita-(Capsicum chinense)- A small pea shaped pepper that is slightly smaller than a pea is explosive on flavor. 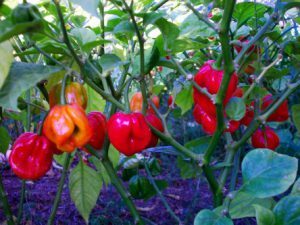 The Aji Charapita Pepper as of 2016 is now the new most sought after pepper by Gourmet Chefs around the world. Reports allegedly say it sells for over $20,000 for a dried kilo!! It is similar in size the Tepin or Chilitepin from Northern Mexico which sells for a few hundred dollars a pound. 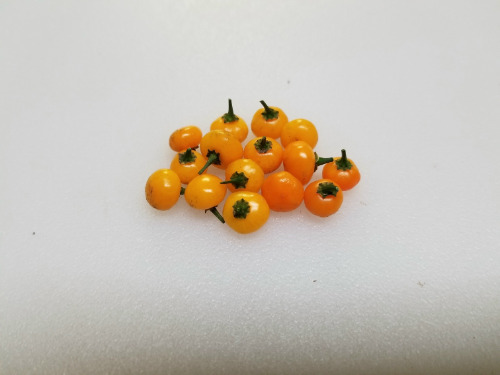 It takes a lot of labor to pick these small delicious gems but I think the articles on the web about the cost of this pepper are exaggerating a bit. 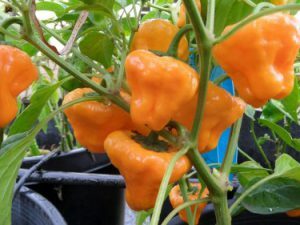 The Aji Charapita has citrus sweet tones and is about the heat level of a Cayenne depending on growing conditions. In Peru it is often grown on patios and is so flavorful that they will crush one dried pepper to season their meal. The fresh peppers are crunchy when ripe and ripen from green to yellow. 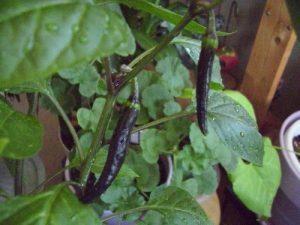 They Aji Charapita Chile plants grow to about 3 feet tall and are very productive.